Everybody wants to look good on paper, especially when the paper in question happens to be a photo print. So what kind of lens makes people look their best? 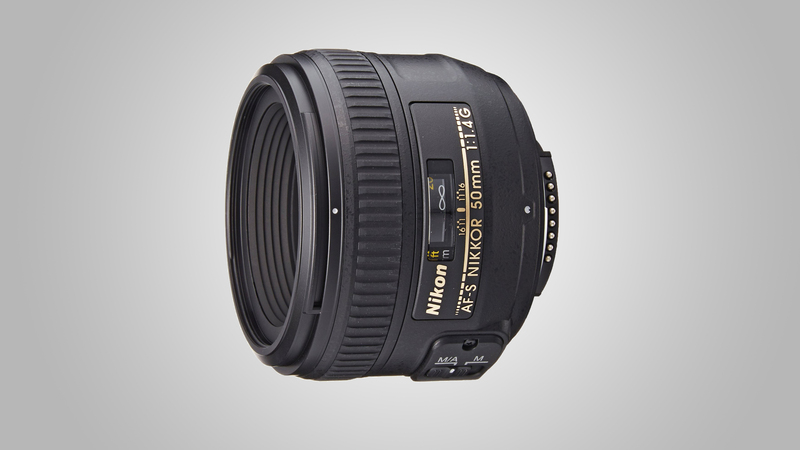 With a full-frame Canon or Nikon DSLR, an 85mm prime lens is ideal. If you’re shooting with an APS-C format camera like a Canon EOS 7D Mark II or Nikon D500, a 50mm prime that gives roughly the same ‘effective’ focal length is the best portrait lens for the job. These lenses enable you maintain a natural distance from your subject for head and shoulders or half-length portraits, neither crowding in and making people feel awkward, nor being too remote to give direction. One of the advantages of 50mm and 85mm prime lenses is that they tend to give excellent image quality with negligible distortion. The killer feature, however, is that they’ll typically have a wide maximum aperture of around f/1.4 to f/1.8. This enables a tight depth of field so you can blur fussy backgrounds and really make the main subject stand out. Another bonus is that you’ll be able to maintain relatively fast shutter speeds even under low lighting conditions, freezing any movement of the subject as well as avoiding camera-shake. It’s particularly important if you want to take portraits indoors under ambient lighting, without resorting to flash. However, optical stabilization can still be a big bonus, not just in dimpsy lighting conditions but when you want to use a narrower aperture for environmental portraits. The larger depth of field helps to show people in their surroundings. Some aspects of image quality that you’d often look for in a lens are relatively unimportant for portraiture. For example, corner-sharpness is of little importance if you’re blurring the background anyway, and vignetting (darkened image corners) at wide apertures can actually help to frame the main subject. Similarly, while you’d normally prefer razor-sharpness from a lens, there’s something to be said for lenses that are a little softer at wide apertures, reducing the appearance of wrinkles and blemishes. The flip side is that it’s easier to apply smoothing than sharpening at the editing stage. For example, it’s tricky trying to inject sharpness into the eyes that simply isn’t there to start with. There are some excellent manual-focus lenses on the market for Canon and Nikon DSLRs. The Zeiss Milvus range is particularly good. However, as DSLRs lack the old-style split-screen and microprism viewfinders of their 35mm forerunners, manual focusing can be a bit hit and miss without resorting to Live View mode, and autofocus lenses generally enable a much better hit rate in getting sharp images. Compared with outright sharpness, the bokeh of a portrait lens can be a more important consideration. This is a term that describes the pictorial quality of defocused areas within images. A smooth, creamy blur is ideal. Lenses with wider aperture ratings have a natural advantage, as they give a tighter depth of field. Even at f/1.8, however, especially when using an 85mm lens on a full-frame camera, the depth of field can be so tight that you might not be able to get both of a person’s eyes looking sharp, let alone other facial features. If you need to stop down a little, lenses with a better-rounded diaphragm tend to help retain better quality bokeh. Even though the diaphragm blades that control the aperture are generally curved, a larger number of blades tends to produce a better-rounded aperture. Canon’s newest 85mm lens combines a super-fast f/1.4 aperture rating with image stabilization, making it somewhat unique on the market. Even so, it faces stiff competition from more affordable options in Canon’s line-up as well as from strong contenders from Sigma and Tamron. A major upgrade over previous editions of Canon’s budget 50mm f/1.8 lens, this one is more robust with a metal rather than plastic mounting plate, has seven rather than five diaphragm blades, and a quieter STM (Stepping Motor) autofocus system. Autofocus still isn’t particularly quick or silent, as it’s based on a motor that uses helical gears, rather than being a lead-screw type, but it’s still an improvement. Handling is also more refined, as the focus ring doesn’t rotate during autofocus. Despite being very compact and lightweight, the lens delivers pleasing image quality, with better sharpness than Canon’s pricier 50mm f/1.4 lens in the f/1.8 to f/2.8 sector of the aperture range. 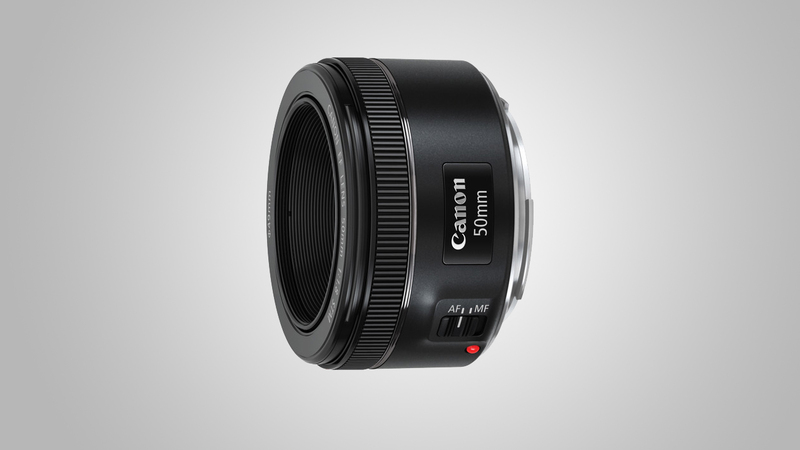 It’s our preferred own-brand Canon lens for portraiture on APS-C format DSLRs, and incredibly good value at the price. An old-school design that dates back to 1993, this is quite a basic lens compared with the latest models from Sigma and Tamron. 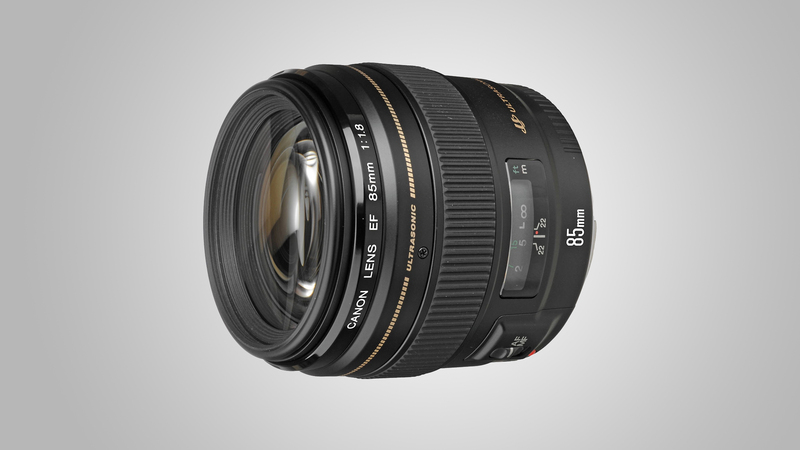 As such, it’s rather cheaper to buy but it’s still significantly more expensive than the Canon 50mm f/1.8 lens. The main plus points are that this lens has a faster aperture rating, slightly better build quality and, for what it’s worth, a focus distance scale. Autofocus is based on an ultrasonic motor, rather than being ‘ring-type’. It’s a bit on the slow side and is clearly audible but, unusually for this type of system, it does feature full-time manual override. Sharpness is pretty disappointing in the f/1.4 to f/2.8 sector of the aperture range but some would argue this can give a pleasant softness to portrait images. Vignetting is also quite severe. All in all, we’d go for the Canon 50mm f/1.8 STM lens and pocket the change. 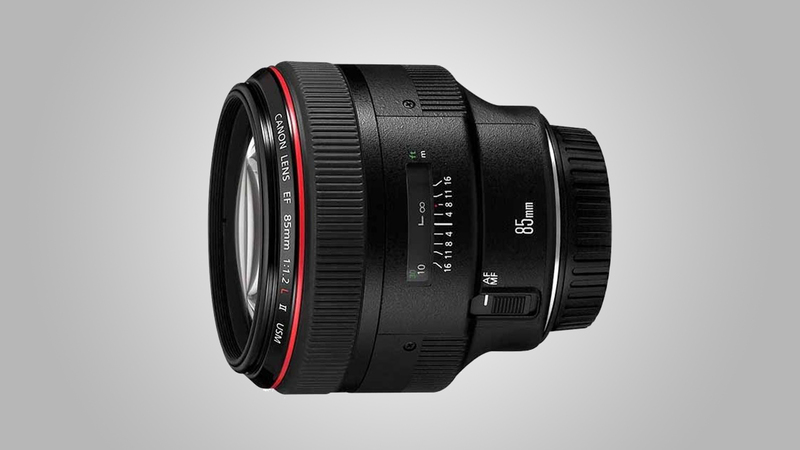 Launched in 1992, this is a stalwart of Canon’s lens line-up. Like the 50mm f/1.4, it’s a relatively old and simple design, but at least it’s compact and lightweight. 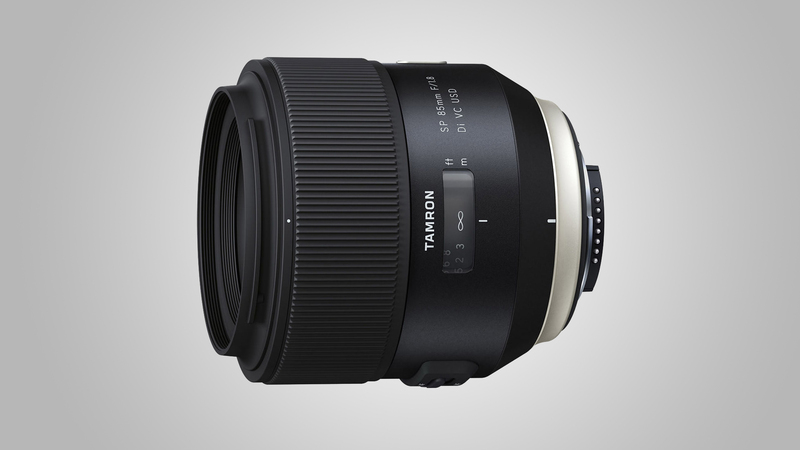 For example, the Sigma 85mm f/1.4 Art lens is much larger and nearly three times heavier. The purchase price is very competitive but, typical of Canon’s budget and mid-range lenses, it doesn’t feature any weather-seals and the hood is sold separately. Bokeh is good and the eight-blade diaphragm retains a fairly well-rounded aperture when stopping down a little. Sharpness could be a little better at wide apertures but image quality is impressive overall, making this lens a smart budget buy for full-frame portraiture. 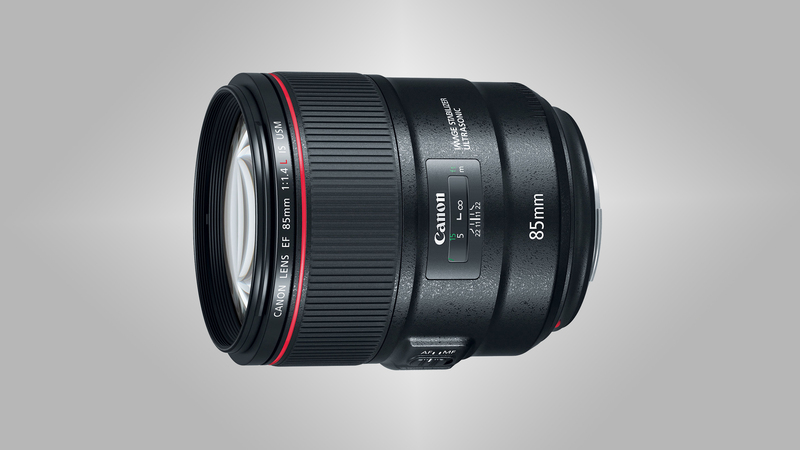 Something rather special for Canon cameras, this lens gives you the best of both worlds. It combines a fast f/1.4 aperture with highly effective image stabilization. Although unique among Canon-fit portrait lenses in this respect, it’s more typical of the company’s L-series lenses in terms of its pro-grade, weather-sealed build. The optical design is much more complex than the old Canon 50mm f/1.4 and 85mm f/1.8 lenses. Other upgrades include a nine-blade diaphragm and advanced ASC (Air Sphere Coating) to minimize ghosting and flare. One downside, however, is that this lens is more than twice the weight of the Canon 85mm f/1.8, tipping the scales at almost a kilogram. Sharpness at wide apertures isn’t quite as impressive as from the competing Sigma 85mm f/1.4 Art lens, especially outside of the central region of the frame. Even so, it’s a spectacular lens that’s hard to beat for handheld portraiture. Physically, this lens is even wider and weightier than Canon’s 85mm f/1.4 stabilized lens, although it’s not quite as long. The Mk II edition has a faster autofocus system but, in practice, autofocus still isn’t exactly speedy. Build quality is excellent but, unlike most L-series lenses, this one isn’t weather-sealed. At f/1.2, the 85mm focal length enables a really tight depth of field, but you can often find it’s rather too tight for portraiture. For areas that aren’t defocused, sharpness is very good even when shooting wide-open, while bokeh is very smooth. This used to be the undisputed king of Canon lenses for portraiture, but the new EF 85mm f/1.4L IS USM has become a better buy. If bigger is better, this Sigma 50mm f/1.4 rules the roost for APS-C format portraiture. It’s massive compared with Canon’s 50mm f/1.4 lens, and nearly three times heavier. It also has a much more complex optical layout, based on a newer and more high-tech design. Build quality is excellent and, despite the lack of weather-seals, it feels every inch a pro-grade lens. Image quality is similarly up-market, with superb contrast and sharpness along with minimal colour fringing, distortion and vignetting. Handling is very refined, despite the comparatively large size of the lens, and the ring-type ultrasonic autofocus system is both rapid and whisper-quiet, with the usual full-time manual override. 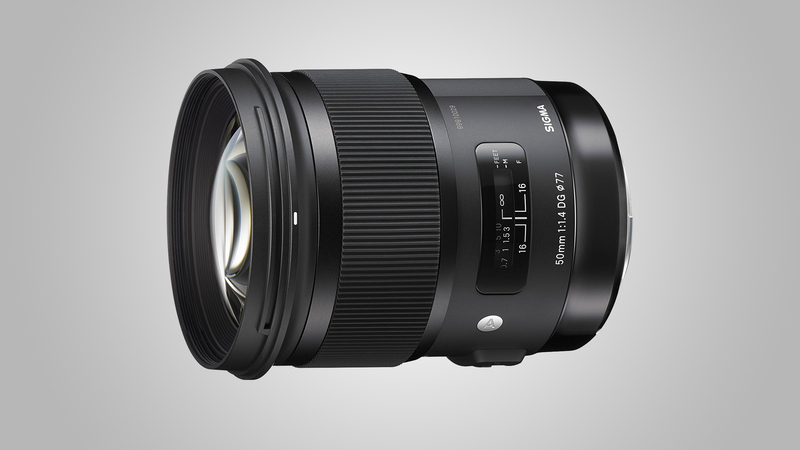 For overall performance and image quality, this Sigma is the 50mm lens to beat. A fairly recent addition to Sigma’s Global Vision line-up, this ‘Art’ lens was launched in 2016, some two and a half years after its 50mm sibling. It’s unusually hefty for an 85mm lens, measuring 95 x 126mm and weighing in at 1,130g. While the standard of build quality is similarly impressive in both Sigma lenses, the 85mm adds weather-seals for a ‘dust- and splash-proof’ construction. The ring-type autofocus system is super-fast and whisper-quiet but, as with the Sigma 50mm lens, there’s no image stabilization. Image quality is simply stunning in all respects and sharpness across the entire frame is exceptional, even when shooting wide-open at f/1.4. Overall, the size and weight of the lens make it quite a handful, but there’s no beating it for performance. In this category of prime lens, examples with an f/1.8 rather than f/1.4 aperture rating are often viewed as poor relations. However, this lens has first-rate build quality, complete with weather-seals, and adds the bonus of a highly effective 4-stop image stabilizer, or ‘Vibration Compensation’ system, as Tamron calls it. The ring-type ultrasonic autofocus system is similarly effective, with fast yet very quiet performance, and the usual bonus of full-time manual override. Overall, it significantly outguns the own-brand Canon 50mm lenses for features, and the Tamron is equally impressive when it comes to image quality. It’s not a particularly small or lightweight lens but, at 540g, it’s not unduly weighty and makes a great portraiture lens for APS-C format DSLRs. Not necessarily a drawback, the f/1.8 rather than f/1.4 aperture rating of this up-market prime enables a more lightweight build, especially compared with the competing Sigma 85mm Art lens. And it still enables a very tight depth of field when shooting wide-open. As with the Tamron 45mm, this lens has a robust, weather-sealed construction, but this time there’s also a keep-clean fluorine coating on the front element. Handling is excellent and the 4-stop image stabilizer is a major bonus for handheld portraiture in dull or indoor lighting conditions. Outright sharpness at wide apertures isn’t quite as impressive as from the competing Sigma lens but it’s not far off, and very consistent across the entire image frame. As a stabilized 85mm prime, it’s a great buy and much more affordable than the Canon competitor. 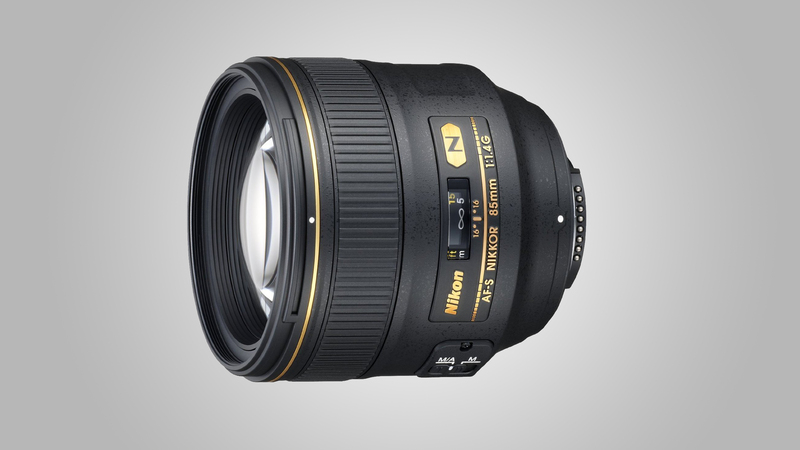 Most of Nikon’s 50mm and 85mm lenses are refreshingly affordable, although the AF-S 85mm f/1.4G commands a high price. All of the own-brand Nikkors face stiff competition from premium primes manufactured by Sigma and Tamron. The independently manufactured lenses are all fairly recent designs, with high-grade construction, excellent all-round performance and beautiful image quality. There’s certainly plenty of choice on offer. Despite its downmarket asking price, the build quality of this budget Nikon lens feels pretty good, right down to its weather-sealed metal mounting plate. It’s a bit pricier than the competing Canon lens but at least the Nikon comes complete with a hood, so you don’t need to buy one as an ‘optional extra’. 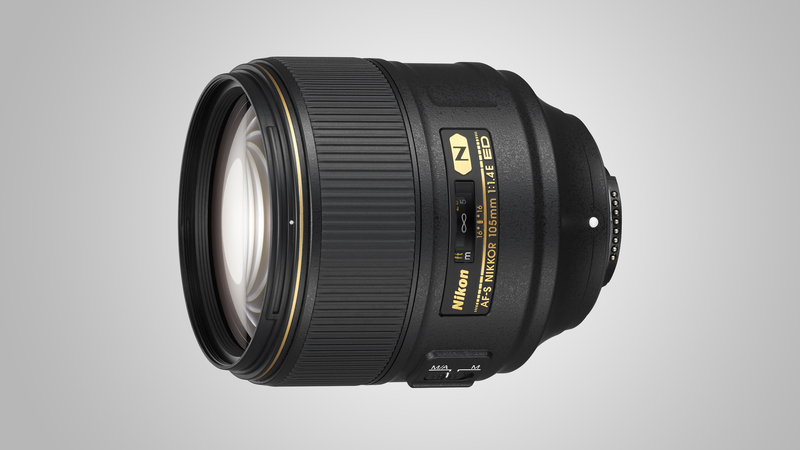 Physically, this lens is almost as large as Nikon’s 50mm f/1.4 but it’s nearly 100g lighter, weighing in at just 185g. The autofocus system isn’t particularly quick but it’s quiet and comes complete with manual override. Bokeh is pretty smooth at f/1.8 but defocused pinpoints of light take on a clearly visible heptagonal shape when stopping down a little, as the seven-blade diaphragm isn’t particularly well-rounded. Barrel distortion is also a little worse than average, but much reduced when using the lens on a DX rather than FX camera, where it’s focal length is ideal for portraiture. This lens is rather smaller and lighter than most of the latest 50mm f/1.4 prime lenses, with a lower number of optical elements. The older design keeps things simple, with eight elements in total. 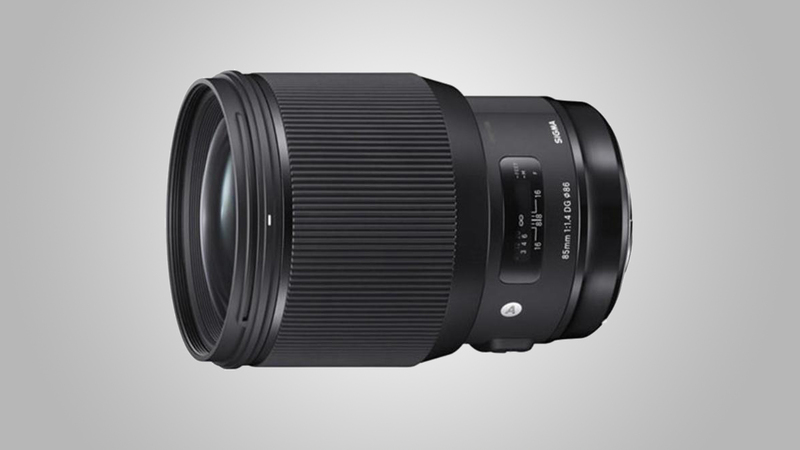 By comparison, the Sigma 50mm Art lens has 13 elements and weighs about three times as much. Both competitors are two-thirds of an f/stop faster than the Nikon 50mm f/1.8 lens, and have nine rather than seven diaphragm blades, enabling a better-rounded aperture when stopping down a little. Unlike the Sigma, the Nikon’s sharpness drops off noticeably at f/1.4 but you could argue that it gives a pleasant softness for portraiture. 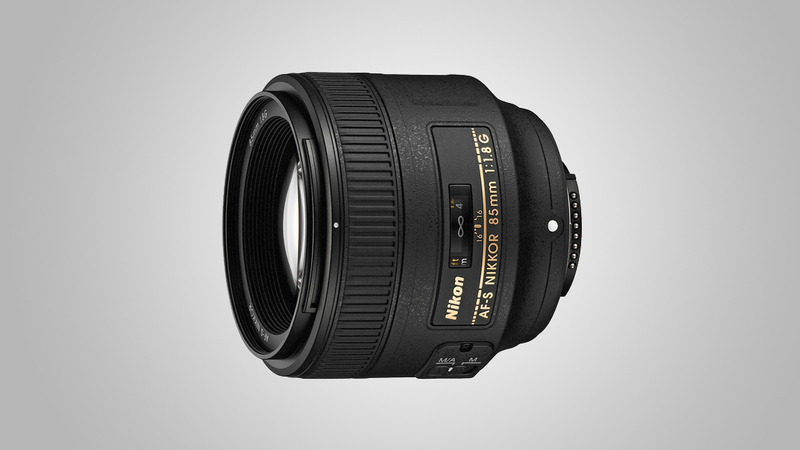 Stop down to f/1.8 and this lens becomes sharper than Nikon’s 50mm f/1.8 lens at the same aperture. Image quality is good overall but ‘bokeh fringing’ (longitudinal chromatic aberrations) is more noticeable than usual when shooting wide-open. All things considered, this lens is rather better than Nikon’s 50mm f/1.8 and it’s still pretty good value at the price. 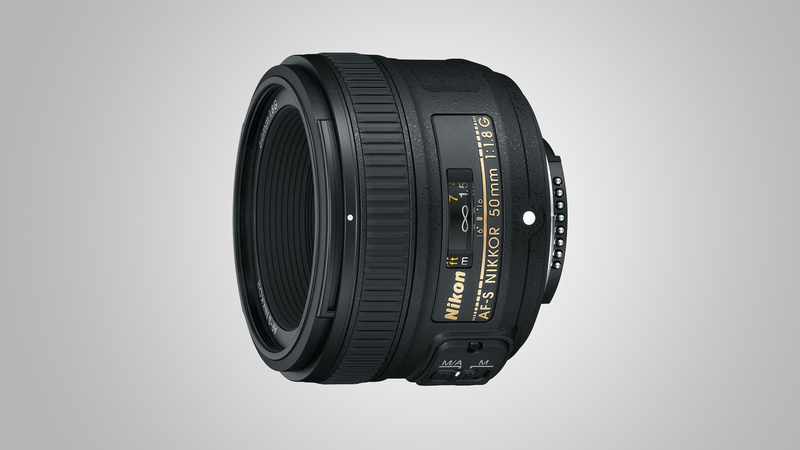 More ideal for portraiture on FX (full-frame) bodies than Nikon’s 50mm lenses, this one retains a fairly simple optical design, based on nine elements. 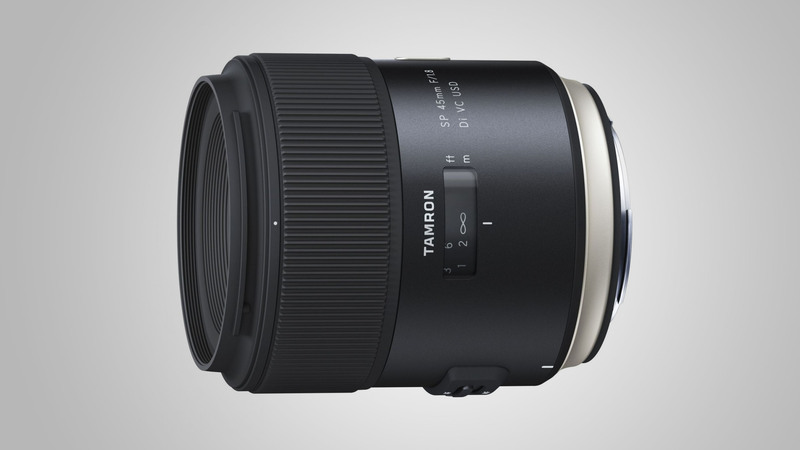 By comparison, the latest Tamron and Sigma 85mm lenses have 13 and 14 elements respectively. A plus point of the Nikon’s more dated design is that it’s smaller and lighter, weighing only half as much as the Tamron and about a third of the weight of Sigma. A downside is that it lacks stabilization, featured in the Tamron lens. Like Nikon’s 50mm f/1.8 lens, the aperture is based on a seven-blade diaphragm, and it’s not particularly well-rounded when stopping down a little. Defocused pinpricks of light can take on very distinct heptagonal shapes. Even so, when shooting at f/1.8, sharpness is very good and bokeh is nice and smooth, although vignetting is quite noticeable. On balance, it’s a good performer and great value for an own-brand Nikon lens. Compared with Nikon’s 85mm f/1.8 lens, this one has a single extra optical element, two more diaphragm blades, and a faster aperture rating by two-thirds of an f/stop. It’s also bigger, heavier and nearly three times as expensive. On the other hand, it’s still smaller and lighter than both of the competing Sigma and Tamron 85mm lenses, despite the Tamron having a slower f/1.8 aperture rating. Build quality feels more solid than in the other Nikon 50mm and 85mm lenses, and this is the only one of the four to feature nano-structure coatings, which help to further reduce ghosting and flare. As with the Nikon 50mm f/1.4 lens, sharpness drops off much more noticeably at the wide end of the aperture range than with competing Sigma f/1.4 Art lenses, but sharpness is impressive between f/2.8 and f/11. Bokeh is noticeably better than from the Nikon f/1.8 lenses when stopping down a little, helped by the better-rounded nine-blade diaphragm. Noticeably bigger and over 50 per cent heavier than its 85mm f/1.4 stablemate, the overall aim of the optical design is to deliver excellent sharpness across the whole image frame, even when shooting wide-open. To deliver the requisite image quality, the lens has a complex optical path, comprising 14 elements within nine groups. A well-rounded nine-blade diaphragms helps to retain the quality of bokeh when stopping down a little. The combination of its 105mm focal length and f/1.4 aperture makes this a great portrait lens and, crucially, it delivers excellent contrast, sharpness and color rendition along with beautifully smooth bokeh. If bigger is better, this Sigma 50mm f/1.4 rules the roost for APS-C format portraiture. It’s massive compared with Nikon’s 50mm f/1.4 lens, and nearly three times heavier. It also has a much more complex optical layout, based on a newer and more high-tech design. Build quality is excellent and, despite the lack of weather-seals, it feels every inch a pro-grade lens. Image quality is similarly up-market, with superb contrast and sharpness along with minimal colour fringing, distortion and vignetting. Handling is very refined, despite the comparatively large size of the lens, and the ring-type ultrasonic autofocus system is both rapid and whisper-quiet, with the usual full-time manual override. 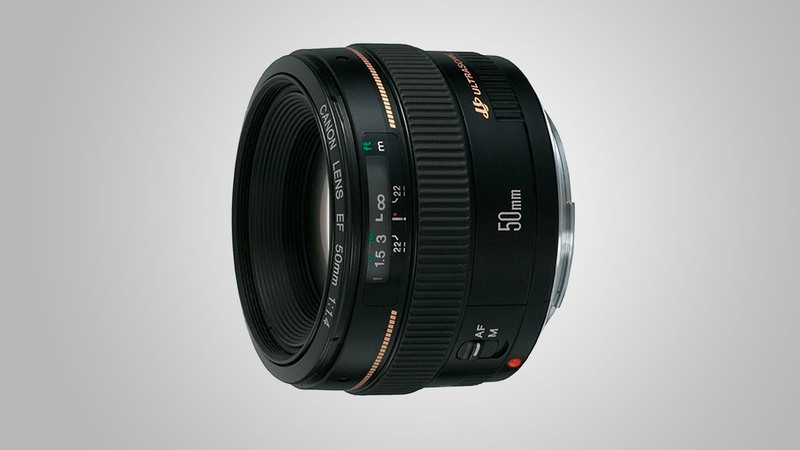 For overall performance and image quality, this Sigma is the 50mm lens to beat. In this category of prime lens, examples with an f/1.8 rather than f/1.4 aperture rating are often viewed as poor relations. However, this lens has first-rate build quality, complete with weather-seals, and adds the bonus of a highly effective 4-stop image stabilizer, or ‘Vibration Compensation’ system, as Tamron calls it. The ring-type ultrasonic autofocus system is similarly effective, with fast yet very quiet performance, and the usual bonus of full-time manual override. Overall, it significantly outguns the own-brand Nikon 50mm lenses for features, and the Tamron is equally impressive when it comes to image quality. It’s not a particularly small or lightweight lens but, at 540g, it’s not unduly weighty and makes a great portraiture lens for APS-C format DSLRs. Not necessarily a drawback, the f/1.8 rather than f/1.4 aperture rating of this up-market prime enables a more lightweight build, especially compared with the competing Sigma 85mm Art lens. And it still enables a very tight depth of field when shooting wide-open. As with the Tamron 45mm, this lens has a robust, weather-sealed construction, but this time there’s also a keep-clean fluorine coating on the front element. Handling is excellent and the 4-stop image stabilizer is a major bonus for handheld portraiture in dull or indoor lighting conditions. Outright sharpness at wide apertures isn’t quite as impressive as from the competing Sigma lens but it’s not far off, and very consistent across the entire image frame. Overall, it’s a great buy at half the price of Nikon’s 85mm f/1.4 lens, and the stabilizer can make a massive difference in handheld portraiture.